If you're a fan of Henry, those two names are synonymous. 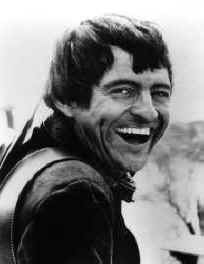 Thirty years ago, Henry introduced us to the laughing and irresponsible but lovable charmer, Manolito, on "The High Chaparral". Many of us have remained fans ever since. This site is a tribute to Henry and his fans -- a place to see photos, take a closer look at some of his many roles, learn about what he's been doing since his "Mano" days, what he's doing now -- and to share thoughts with other fans. At the bottom of this page, you'll find information about where you can write to Henry via "snail mail". This site is a continuing "work in progress", as Henry himself would say, so please check back from time-to-time to see what's new. The link will take you to the petition that is in English. For petitions in other languages, please see the links on the Manolito page. Although Henry's name and face didn't become well-known until his "High Chaparral" role, he had been appearing in movies and television programs for some time. 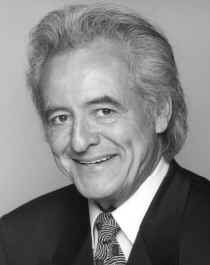 In those days, his name would have shown up in the credits lists of shows like "Stoney Burke" and "Voyage to the Bottom of the Sea" as Henry Delgado, not Darrow. Almost like a precursor to his post-Chaparral career, even then he made appearances on some of the most popular series of the time: Daniel Boone, Gunsmoke (two episodes), Iron Horse, T.H.E. Cat (two episodes), and The Wild, Wild West. He was also the lead guest star on a still-beloved program called "Bonanza", produced by the man who would later give us "The High Chaparral", David Dortort. A click here will take you to the Before He Was Manolito Photo Gallery and Before He Was Manolito Photo Gallery II. Would you like to catch one of Henry's numerous TV or movie roles? This remote control provides a link to TV Guide Online, where you can search for "Henry Darrow" appearances. If you would like to find out where to send Henry a fan letter via "snail mail", just click on the mailbox below. Send e-mail to Henry by clicking here! Many thanks to Lisa McKenzie, Kathy Lewis, Don Collier, Bob Hoy, and Ted Markland for photos, Sandy Sturdivant for the technical support that made this site possible, and of course, Henry, for so graciously sharing his life and career with all of us. Last update on July 4, 2005. See Website Changes page for details. You can contact this site's webmaster by clicking here .